How often do you hear from a colleague that they wish they had more time in the day to get work done? I hear that refrain constantly, and admittedly also say it more often than I’d like. Your coworkers don’t actually want more time, they want more productive time, and by extension less meetings. Now that’s not the worst I have seen, but it made it super hard to find a time to connect. I had already set up the purpose of the conversation with an email (having escalated the urgency) so they knew why I wanted to meet, but I had to then go back and ask them to tell me what time was OK and they had to move things around to meet. 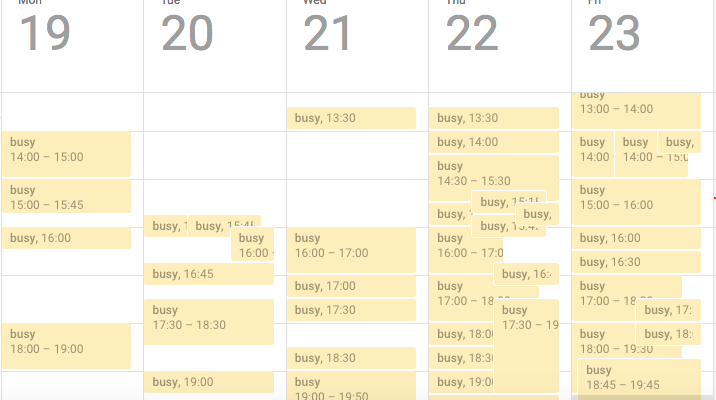 Nothing in that calendar you see above indicates any time of prioritization or urgency; as far as I know every single meeting scheduled could have been more urgent than mine, or totally pointless chit-chat. I realize that it’s kind of absurd for me to start a blog post about the important of white space with a story about scheduling a meeting, but the point I’m trying to make is that I had an objectively urgent matter that needed to be discussed, and the challenge in finding time with the one individual that could help resolve it due to the other meetings on the books. As a colleague of mine used to say, “When everything is urgent, nothing is urgent”. When I was early in my career, I saw being busy as a signal of being productive and important. I observed senior contributors and managers hustling from meeting to meeting, taking working lunches, and speaking in clipped, stressed voices, emphasizing the urgency of whatever it was they were focused on. There was a senior executive who even had this sign outside of his office with different cartoon faces, ranging from happy (it was never turned to this) to the red ‘angry face’. There was even one with a skull and crossbones, which I interpreted as imminent death to anyone who dared disturb him. As I advanced in seniority, I of course also followed many of these behaviors because, well, I thought that’s what you just did. I delighted in scheduling (and participating in) meetings, having early and late calls, and never taking more than 20 minutes for lunch. The feeling of productivity was there, and I seemed to be rewarded with raises and promotions, but what I can’t say is weather my performance had a particularly high level, or if it was mostly the perception of my performance. A key metric I shared during a self-review was the number of calls I had done over the course of a year as if that in and of itself was an achievement worthy of praise. Now that I’m a lot older and hopefully slightly wiser, I realize how counterproductive it is to fill your work days so completely. If anything, the situation is even worse these days with distributed work forces and the ease of online meetings. Less than 10 years ago I distinctly recall having to talk to several executive assistants and have them each look through physical calendars to set up a big meeting — today anyone at the office can ‘grab time’ from someone at anytime by putting a calendar invite in. As a result everyone is forever hustling from meeting to meeting, always showing up a few minutes late because of being back to back, and never really focusing on the topic at hand because they are still trying to process the previous discussion. Layer in omnipresent laptops in conference rooms, instant messaging like Slack with its never-ending notifications, always-connected mobile devices and you have an environment where everyone seems busy all the time, but aren’t accomplishing enough. I see a lot of noise being generated which feels like work, but isn’t necessarily helping us accomplish our objectives. How do we get to a better place? By treating the white space on our calendars not as unproductive time to be scheduled over, but as time to focus and get work done and also reflect on the key challenges we’re facing. 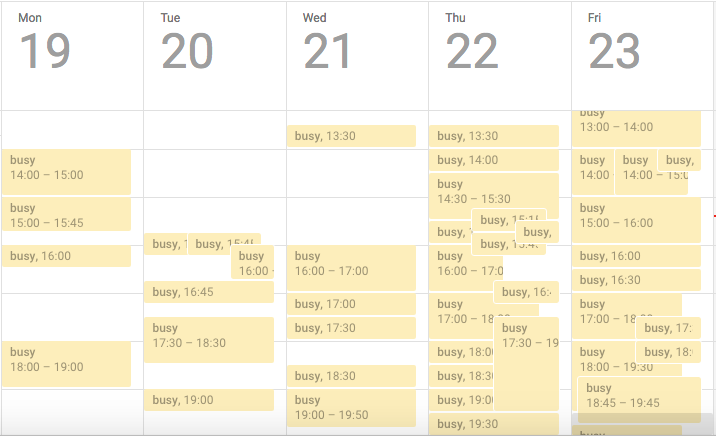 Paul Graham, has a very popular piece about the Maker vs Manager schedule — I mostly agree with what he says, but I think a key difference now is that everyone has fallen into that Manager schedule and there’s not much value seen in time unscheduled. I believe we all need to push back on this and recognize that even for senior leaders whose time is at an absolute premium there is a lot of value in having large blocks of white space in the calendar. In order to get more white space time each day, we first need to realize that we are all part of the problem. We’ve made it super easy to schedule meetings and take each other’s time, but there are many other ways to work effectively besides meeting face to face. There’s not a whole lot of discussion these days of asynchronous vs synchronous work thanks to the always-on culture but we really need to revisit how workers can and should engage each other, and which tools work best for different types of work. Before scheduling that next meeting, think about what you are trying to accomplish, how it might be accomplished, and consider if a face-to-face meeting is the best way to achieve the objective. Could you craft a well thought out email with specific questions that an individual could address? If you have a question could you research and find the answer yourself without taking your colleagues time? The second way to reduce meeting time is to guard your own time a lot more fiercely. This is very very hard to do in the modern workforce! Do meetings have specific goals and a defined agenda, is there clear ownership of follow-up items, is the meeting time and duration respected? You have to demand the quality bar for what constitutes a meeting rises to the point that you won’t take meetings unless they meet that threshold. And even then you have to be prepared to say no to meetings when there’s not clear value in it. Always reject meetings with titles like ‘catch-up’, ‘discuss’, ‘connect’ with no additional context, unless you genuinely just want to chat with someone with no expectation of making any work progress. I’ve always been amazed at how focused someone will be on taking up your time with a meeting but when you are unavailable they somehow can figure out whatever it is they needed help with. The third aspect of evolving away from the meeting culture is empowerment of individuals to be able to make decisions and move forward without the consent of a huge group. This one I find is more challenging in Silicon Valley’s collaborative, open culture where opinions from team members of all experience levels and seniority are often welcomed and encouraged. That’s not a bad thing, per se, and is one of the things I like most about working at a tech company. What does culture have to do with meetings and getting more time? I find that in flatter organizations without clear lines of decision making, consensus is often built through a series of meetings with various stakeholders, often reviewing more or less the same content, until a clear consensus is achieved and people can move forward. It is very important to be transparent, but managers and senior leaders are paid more because they have more responsibility and accountability, and shouldn’t be afraid to make a decision. Dithering is extremely costly, both in the direct cost of having people meet more then they have to, as well as the opportunity cost of keeping your team in second gear while they await a decision. If you empower your employees and make sure they understand they are accountable to take smart risks when it comes to important decisions (and of course allow them to seek guidance when needed) you’ll find your calendar slowly freeing up as people do the work rather than talk about doing the work. Next Monday when you are reviewing your work week and see the endless color bands of meetings in your calendar, take a step back to think about how you can add more white space to your week. It’s well worth it! Sleep is a fundamental physiological need for humans, and forms the base of Maslow’s hierarchy of needs pyramid. But we as a society don’t get enough sleep. We stay up all night studying, partying, texting, watching Netflix. Going without sleep carries both short and long term health consequences. Lack of sleep can affect judgement, mood, ability to learn, ability to retain new information, and may increase your risk for injury. That’s just in the short term. Long term sleep deprivation carries chronic health problems like depression, obesity, and diabetes. And studies have indicated that sleep-disordered breathing in adults can be associated with impaired cognitive function. These, in turn, can contribute to poor work performance, accidents and injuries, and a decrease in quality of life. Sleep and productivity and correlated strongly. One of the most interesting but deadly proof points for the dangers of sleep deprivation happens by design once a year in the United States. In the Monday following Daylight Savings Time ‘spring forward’, there are noticed increases in heart attacks and driving accidents – a fine but sad example of how bad sleep deprivation actually can be. The time change causes shifts in our internal clock and researchers have found that when the clocks change, peoples’ sleep cycles are interrupted just enough that they tend to be drowsy. The general idea is that subtle enough changes occur in sleep patterns and circadian rhythms that can affect your alertness in just that one hour of difference. Sleep deprivation also has an economic impact as well. Mathew Gibson and Jeffrey Scrader studied how cities on different edges of time zones see an impact as well. They found that permanently increasing sleep by an hour per week for everybody in a city increases the wages in that location by about 4.5%. All else being equal, getting more sleep is better for your mind, body, and wallet! Sleep patterns have definitely changed over the course of human history. Until the invention of the electric light bulb, we got up with the sun and spent our evenings sitting by candlelight. Now, most of us spend our days bathed in artificial light. Total darkness is a thing of the past. Have you ever gotten up in the middle of the night and noticed how light your house actually is? Many electronics now emit a glow, including laptops, TVs, and even electric toothbrushes. The end of waking with the sun and going to sleep when dark out is having serious ramifications on our ability to get a good night’s sleep. Other changes have been affected by the invention of the electric lightbulb. Being able to light up the world all night long helped build the big cities, helped us with technology, and gave us an all nightlife. A move to the city and away from agricultural jobs means we our connected almost 24/7 with emails and text messages. We love our devices, but artificial nighttime lighting decreases our duration of sleep and affects the type of sleep we get, which we’ve learned can affect our total health. What I’m most concerned with, though, is how lack of sleep negatively impacts personal productivity, as sleep and productivity are strongly linked. We know that sleep is good for your brain, but new research shows that sleep deprivation can lead to fatigue-related productivity losses, which in turn can cost an employer $1,967 per employee per year. Not getting enough sleep impairs your brain functions. It slows your ability to process information, kills your creativity, and increases your stress levels. When you sleep, your brain has time to remove toxic proteins that are a build-up of normal neural activity during the day. When you don’t get enough sleep, those toxic proteins remain, wreaking havoc on your ability to think and having long-term career impacts. But, it’s not enough just to get a full eight hours of sleep a night — you need quality, uninterrupted sleep. You need to afford yourself adequate time to fall into a deep sleep because this is where your brain is working, making connections from your day, and clearing out that toxic junk. If you aren’t getting enough nighttime sleep, think about trying to fit in a nap. Even a short, 15 minute nap, can give you a rest and help restore wakefulness which promotes performance and learning. Naps offer several benefits including improved mood, increased logical reasoning and reaction time. Increase sleep and productivity improves, even if it’s a small amount. Modern life isn’t necessarily easier than it was when we woke up with the sun and went to bed with the moon. We are stressed, there are deadlines, mile long to-do lists, and family obligations. But these aren’t the only reasons you and me and everyone you know is having trouble sleeping. Too much caffeine or alcohol during the day can cause jitters. Too much light in your bedroom at night or the wrong temperature can affect one’s sleep patterns. Winding down with television or your tablet sounds nice, but artificial light from screens can affect our brain’s functioning, making it to harder to fall asleep. Being stressed out is a huge factor in our sleeping lives. When you’re feeling stress, it triggers internal survival systems – your adrenal glands release hormones that keep you amped up and struggling to snooze. Obviously the best outcome would be completely eliminating stress, anxiety, to-dos and deadlines from your life, but assuming that isn’t happening anytime soon, how can you put away your worries for the night to fall asleep and stay asleep? Going to bed and waking up at the same time every day, even on the weekends, helps set your internal clock and gives your body a consistency it craves. When your brain and body acclimates to this new routine, it can move through the sleep cycle easily, gradually releasing hormones to help you wake up feeling rested, alert, and ready to start your day with an improved mood than if you had to drag yourself out of bed feeling tired and cranky. Have a nighttime routine that includes restful activities starting at least one hour before bed. This could include a bath, reading a book, meditating or doing some sort of relaxation practice, or journaling. Avoid stressful or stimulating activities if at all possible. For folks who lose track of time at night and then realize it’s later than they though, employing a bedtime alarm can help remind you to start the sleep cycle, especially if this is a new practice for you and you’re trying to change your hours. Everyone has their own ways to relax – do use whatever works best for you to get comfortable and ready to sleep. Caffeine is a stimulant and can keep you awake, so avoid coffee, teas, chocolate, and sodas at least four hours before bedtime. There are decaffeinated versions of all of the above to help you get your fix. Alcohol might seem like it’s helping you by making you sleepy, but after a few hours it acts like a stimulant and can increase the amount of nighttime awakenings and ruin the amount of REM sleep you get. Therefore, it’s best to limit alcohol consumption and try not to drink within a few hours of bedtime. Noises can interrupt quality sleep, even when it doesn’t necessarily wake you up. If you are in a noisy environment like a city, consider using earplugs or noise cancelling headphones. I personally use the various sleep playlists available on Spotify if I need to block out other sounds. If you can turn off notifications altogether, the better, but at least turn them off or use nighttime mode on your phones during sleep hours so you can rest uninterrupted. The key here is to eliminate any interruptions that are under your control. So if you have loud neighbors, wear earplugs, or to limit friends buzzing you too late, put your phone either on silent or use apps to keep certain people from being able to disturb you. Most phones come with a Do Not Disturb mode that you can turn on during certain nighttime hours to shut out the disturbance. Short-wavelength blue light, which most electronics emit, plays an important role in your mood, energy level, and quality of sleep. As the sun goes down, so does our ability to handle the blue light that naturally occurs during the day, and we become sensitive to it, especially when it’s very bright and in our face – like when you’re staring at your phone, tablet, or laptop. This exposure impairs melatonin production and can interfere with your body’s ability to sleep well. The best thing to do is to avoid these devices after dinner, let your body’s sleep cycle get back to it’s natural processing to help with your sleep. Using a fitness tracking device, like a FitBit, to track how long you sleep and the quality of sleep you’re actually getting might give you some patterns to look at, some habits that you might have control over – like drinks, meals, sleep and wake times, and other activities that might be affecting your sleep during the day. These trackers use a sensor, called an accelerometer, to detect motion along with the direction and speed of the motion. When the tracker realizes that the person hasn’t moved in over an hour, the algorithm assumes you are asleep. Your morning movements, such as rolling over or walking, tells the device you’re awake and it records your sleep patterns. Natural sleep remedies might be useful to try if you don’t want to take prescribed sleep medication. One simple thing you can try is herbal tea. Not only is drinking a hot cup of tea before bed relaxing in and of itself, but certain herbs have been found to increase sleepiness, like Chamomile, Lavender, Lemon Balm, and Peppermint. Other natural things you can try are melatonin, St. John’s Wort, and herbal supplements. Melatonin is a hormone your body already produces which plays a key role in regulating your internal body clock. St. John’s Wort is most commonly used as an antidepressant, but since worry and stress are common reasons why people can’t sleep, it makes sense to utilize as a sleep aid. Other herbal supplements can be taken in lieu of over-the-counter or prescribed sleep medication, like Sominex Herbal, for example. Many people who meditate during the evening report that it has improved the quality of their sleep. Meditation helps quiet your mind, giving space to breathe and think clearer about things. It gives you a way to let your day go, as it were, and can help make an environment of peace before settling down to sleep. If you want to give mindfulness a try, you can try apps for your phone like Headspace or Insight Timer. Yoga can have similar effects with the added benefit of being good exercise for your body. By lowering your stress levels with certain yoga poses, you can relieve the tension in your body and soothe the mind. This practice can be an effective natural sleep remedy, particularly helpful in combating restfulness, anxiety, and insomnia. Journaling is often not something you would think about as an anxiety reduction tool, but it can be surprisingly effective. Writing down your thoughts at the end of the day gives you an opportunity to get your feelings out on paper, in a safe space, a place where no one is going to judge you. It’s always available and can give you a much needed outlet for frustrations, worry, and stress. Journaling might not cure your stress and anxiety, but it will make sleeping with stress easier. Sleeping with a notebook next to your bed is also a best practice — if you get any brilliant ideas in the middle of the night, write them down so you don’t feel like you have to remember them. Eating that jumbo slice of pepperoni pizza at 10pm sounds awesome, and might make you drowsy at first, but it won’t help your sleep or your health through the night. Heavy foods close to bedtime can cause indigestion, heartburn, gas, or just an increase of discomfort that will have you tossing and turning or waking up altogether. A light bedtime snack, with adequate protein and carbohydrates could be recommend, if you find yourself waking up in the middle of the night hungry. Otherwise, try to finish most meals at least 2 hours before your normal bedtime. As you have seen, sleep deprivation is commonplace in modern society and it can have dire effects on your productivity, your mood, and your health. It’s far reaching effects on your cognitive performance can have consequences at work and at home. Sleep better – you’ll feel better and perform better. You probably clicked on this article thinking you were going to unleash on me for writing about multitasking. 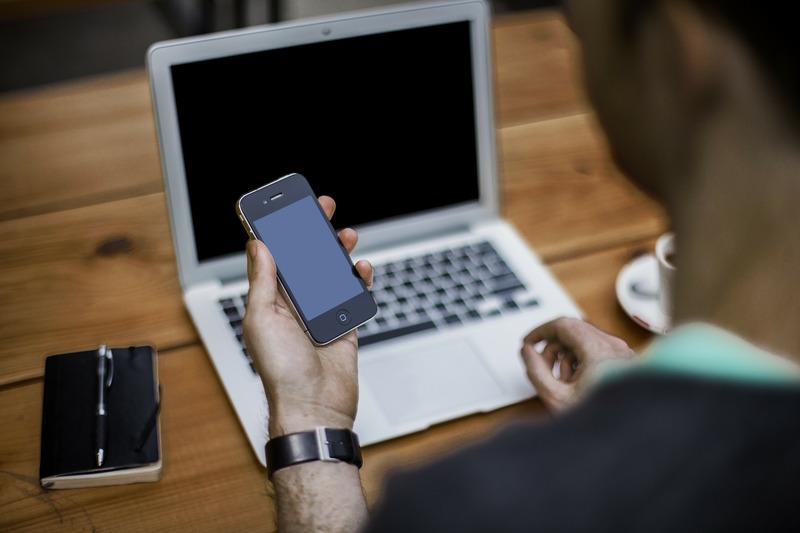 After all, it’s been shown in many different studies and rehashed on blogs and news articles that multitasking doesn’t work. And while I agree that most forms of multitasking are actually continuous partial attention, I’ve noticed that highly productive people have managed to figure out the best ways to multitask and increase their productivity. If you want to find some pockets of time to learn something new, get a few more business calls in, or just relax then read on to learn more about the best ways to multitask. Unless you WFH every day, you’re using some portion of your time to commute to work. While commuting is just terrible for you overall, whether driving or using public transportation, it IS prime time to do some other things. Listening to podcasts is a perfect example of being able to do two things at once, and something easily done while driving or on a bus or train, even when packed in like sardines. If you take public transit, of course you can read magazines, books, blog articles but I’ve found one of the best ways to multitask is by doing something you usually wouldn’t consider – why not use that time to learn a foreign language? Thanks to Duolingo, which is designed for quick bursts of language learning and has a great smart phone app for your phone or tablet, this is entirely possible. Or if you prefer the classic method, you can pick up foreign language downloads and play them in the car. My personal favorite is to download MP3’s digitally from my local library. I can brush up my Español when I want and it’s completely free! If you are driving yourself, no one has to listen to you (and your bad accent) while learning either. If you commute by car, you can schedule phone calls while driving. Call friends that you’ve been meaning to talk to, or business calls that can be done during commuting hours. This works especially well if you work with team members in other parts of the country or world who may have different work times. If you don’t want to have a full conversation, but want to stay connected, use an app like Voxer – where you can basically send voice text messages to your contacts. What’sApp also allows you to communicate via voice rather than type out your message. Just remember – safety first here. I find it’s much easier (and safer) to do a personal call to a friend or loved one that attempt a business call that requires concentration, even when using a hands-free device. And absolutely do NOT text or attempt a call unless it’s using a hands-free device. Similar to commuting time, when you are working out you have a prime chunk of time to listen to podcasts, watch TV shows you haven’t had time for, or listen to audio books – either that juicy novel you’ve been wanting to read or use the time for non-fiction learning. And if you have a tablet, you can even watch videos on an app like Udemy to continue your studies or learn a new hobby while you’re on the elliptical. One of my favorite best ways to multitask is by combining #1 and #2 above and commuting while working out – a solid two-for-one! If you can swing it, running or biking or walking are all amazing ways to get your heart rate up and get you to work at the same time. You’ll need to plan ahead of course, making sure you have fresh clothes, a place to shower, etc, but once you’ve done it a time or two it’s actually much easier than it sounds. For me, living in a dense urban environment like San Francisco, it’s much more enjoyable than taking a crowded bus to work. You’ve probably heard of people listening to language or other kinds of self-improvement tapes while sleeping. Did you know this actually works — research has shown it is possible to learn while sleeping. It’s extremely helpful in learning a second language for instance. There have been reports of students recording lectures and playing them as they fall asleep to remember the lesson without memorizing paper or electronic notes. And if you’re trying to improve specific areas or break a bad habit (or two) hypnosis can help there too. According to this NBC news article hypnosis can overwrite parts of your brain to trigger improved sets of behaviors. It’s definitely something to look into if there are any areas of your life you’d like to get better at (or if you want to kick your smoking or chocolate habit). Are you running errands? Having to stand in line at the bank or pharmacy? If you know you’ll have these microscopic pockets of time, then have your to-do list ready. Can you batch all your texting to this time? Can you send emails? Can you make a quick phone call? Make sure you keep a list of these kinds of task and have them handy and ready for when you need to wait for any reason. One of my favorite apps is Pocket (so aptly named! ), which allows you to save website articles to read later. Catching up in my favorite blogs is a great way to pass a small bit of time. Want to give yourself more time? No, I don’t have a time machine….yet….but I have the next best thing. I have a Virtual Assistant. Okay, so she’s not the TARDIS, but she does help me. I know this isn’t true multitasking, but it is a big productivity boost that I think most people could take advantage of. I use my VA to outsource certain tasks I don’t need to personally do – like internet research, social media management tasks, etc. This can free up big chunks of time in my week. My personal preference is TimeEtc, although these days there are many different options for virtual assistants. So, in summation you should avoid multitasking as a general rule, but I’ve found the things I talked about above are the best ways to multitask, and will help you increase productivity, free up time for other work, and let you find some much needed time during your everyday activities for learning, entertainment, and fun. I’m a firm believer that to do your best work, you need focus. Interruptions murder focus. When trying to focus on a given task, there are some interruptions which are outside of our control: fire alarm, emergency phone call, urgent biological needs, boss hunts you down to talk to you, etc. But most other interruptions we enable ourselves, and we make no effort to remove these. I recently underwent a deliberate effort to try and remove as many self-inflicted distractions as I can to allow myself more focus. This is probably the biggest (and easiest) thing you can do. Do not check email every time the notification pops up – in fact, turn that notification off and schedule regular breaks to check email. In my unscientific estimation, 80% of the emails we get don’t require us to do anything, so it makes sense to batch process those emails so you’re not switching gears every five seconds. Remember: reading and responding to emails is a task that requires focus in and of itself, and shouldn’t be seen as something you need to react to with every new ‘ding’ of the inbox. Most organizations use a chat service like Slack or HipChat for real-time communications. I’m actually a huge fan of chat – it enables collaboration without having to schedule defined meetings, or to share information that isn’t urgent but is potentially useful for a group. But of course chat notifications (and your reaction to them) is another thing that pulls focus. And the problem with these services is they enable notifications for EVERYTHING by default. Once you join a few different rooms, plus the 1×1 conversations, your chat icon will be forever bouncing up and down with new notifications. Do you really need to see a notification when your marketing team decides it’s time to compete for posting the cutest puppy GIF? Well, maybe, as that sounds pretty awesome – but you get my point. The first step is to only enable notifications if it’s 1×1 or you are specifically mentioned in a group room. That way when you see a notification, you at least know it’s truly relevant for you. Like email, it’s best to batch process those conversations to every one or two hours and see how much you can actually get done. Try to set expectations for for others to do the same thing, so send the message and go back to your work, when you check again later, an answer should be there. It’s actually pretty rare that you need to know something right away? Most ‘urgent’ asks are only urgent because you are thinking about them right now, and can be handled in due time like other requests. We love our gadgets – and we also love that they want us to play with them constantly. Heck, soon even our mirrors might even be harassing us with all the stuff we need do! Devices by default are interruption factories, with constant notifications and buzzing for every app we’ve installed. It takes a lot of effort, but you can turn off any and all electronic distractions. Of course I love my phone as much as everyone, but if I looked at every group text, Instagram post or tweet I’d never get anything done. Once you turn off notifications from most of your apps, you realize you never really needed them in first place. If you have random wait time, like when commuting on the bus or waiting in line for coffee, feel free to quickly check out the updates from your e-social world. But as the ‘new’ default, you want most of your apps off. Thanks to advances in mobile operating systems, we can even set up Do Not Disturb times, either scheduled or ad hoc, and even have the granularity to allow for specific notifications to still get through. For instance I set up my mobile to only ring if it’s my immediate family or wife calling from 9 PM to 6 AM every night. The power is yours – engage with your electronic life on YOUR terms. Now you can’t exactly turn off the whole internet, (and let’s be honest most things you do need it), but you can create a distraction free zone by using simple apps like Self-Control or Freedom. These allow you to block certain websites for a period of time, so you aren’t distracted by your fantasy football team when you’re supposed to be working on a presentation. Once the time period is over, the site will be accessible again and you can go and read and plan and whatever else you need to do. Creating pockets of full focus can be amazing and allow your brain to really become a task machine. The ‘flow state’ is a real thing – make sure you do what you can to get there. This one is tricky, and not as simple as the others listed above. In-person interruptions are one of the easiest ways to be yanked out of your flow, and it’s been shown it takes an average of 23 minutes and 15 seconds to re-focus on what you were doing prior to the interruption. Whether it’s your boss asking you about the latest TPS report or a coworker who wants to tell you about the super rad DJ she saw on Saturday, it’s tough to remain focused and also be the social, well-liked, empathetic coworker. I’ve personally found the best way to do this is to provide clear signals of when you are in ‘focus zone’ vs when you are open to being interrupted. 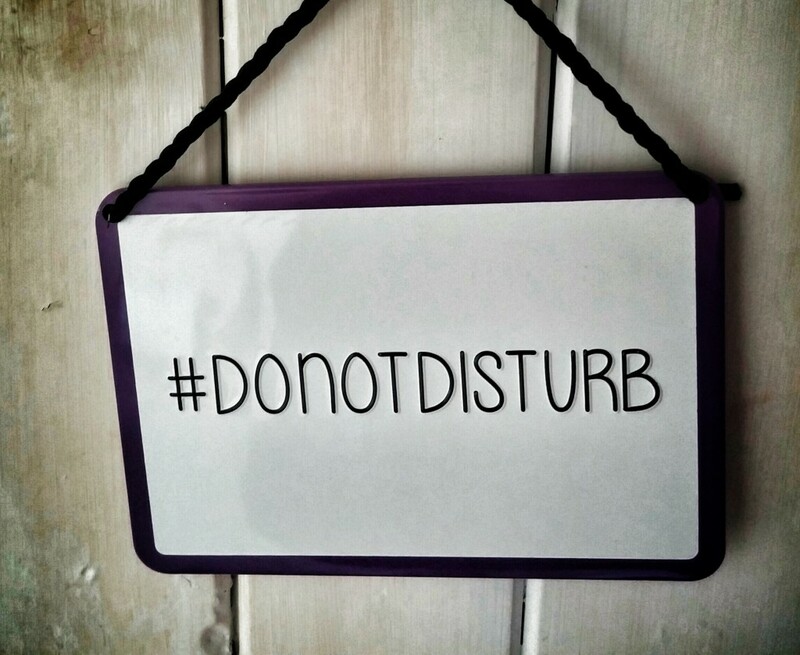 If you are fortunate enough to have an office, close the door and even consider putting a ‘Do Not Disturb’ sign up. If you are like most folks and are in the ever-so-fashionable ‘open layout‘, you can do things like put on headphones (even when not listening to music) and demonstrate in your body language that you are intensely focused on the task in front of you. When approached, calmly but firmly ask if they can come back later (tell them the specific time) or to schedule time with you when your calendar is open. Or if that isn’t working sufficiently, you can grab your laptop and try to find a distraction free zone, whether it’s somewhere else in the office or even a nearby coffee shop or restaurant. And if your manager is supportive and you have a good work environment at home, take an occasional WFH day to be super-focused and cross a bunch of things off your to-do list. Just make sure you show how productive you were at home so you can continue to use this method. These things are not easy, but they will help you get more out of your work day. Multitasking is not the way to check off items and blast through that to-do list. You get to make your day your own, not someone elses. You get to decide what’s important for you and your work. Take control, turn these things off, and get stuff done!